The Randall School, established in 1906 as the Cardozo Elementary School, became a junior high school in 1927 and was repeatedly expanded to meet the educational needs of Southwest’s African-American community. The historic Randall Junior High School at 65 I, S.W., consisting of the original 1906 building and its 1927 flanking wings, is significant for its contribution to the understanding of the development of public schools in the District of Columbia. Despite the numerous noncontributing additions constructed between 1932 and 1973, the historic main block and wings continue to convey their original appearance along I Street, and act as a historic focal point in a community otherwise remade by urban renewal in the 1950s and 1960s. Randall Junior High School was built in 1906 to serve the African-American public school students in southwest Washington, D.C. 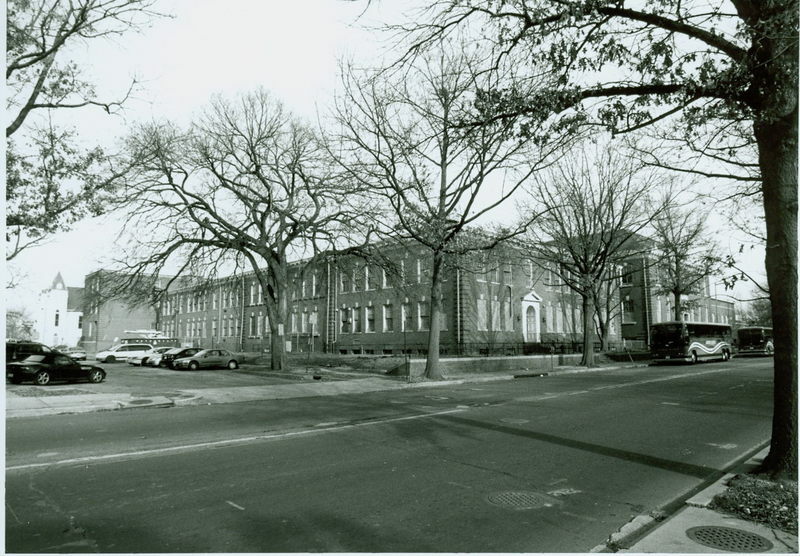 Originally named the Francis L. Cardozo Elementary School, after the celebrated African-American educator (1836-1907), the school adhered to the policy of racial and gender segregation in the District of Columbia school system. The Georgian Revival-style building was designed by the prominent architectural firm of Marsh & Peter as part of a District-wide educational design program that featured the two-story, eight-room, brick schoolhouse. In 1927, three years after the newly established Randall Junior High School, located nearby on the triangular-shaped Square E590 (at I Street, S.W., between Delaware Avenue and First Street, S.W. ), switched places with the Francis L. Cardozo School in a strategic move to accommodate its growing student body, two wings were constructed on the 1906 building. Designed by Municipal Architect L. Harris, the wings added space for classrooms and a combined auditorium and gymnasium. This expansion was part of the nation-wide trend in the 1920s to convert elementary schools to junior high schools. Thus, the building serves as a tangible expression of the educational shift in pedagogy and the change in public sentiment favoring junior high schools. The Randall Junior High School stands as one of the few extant buildings associated with the pre-urban renewal history of southwest Washington. Although no longer functioning as a school, the original building and its 1927 wings illustrate an important aspect of the history of African-American education. The school is an excellent example of a twentieth-century African American school that continuously served the African-American community of southwest Washington during its years of operation. 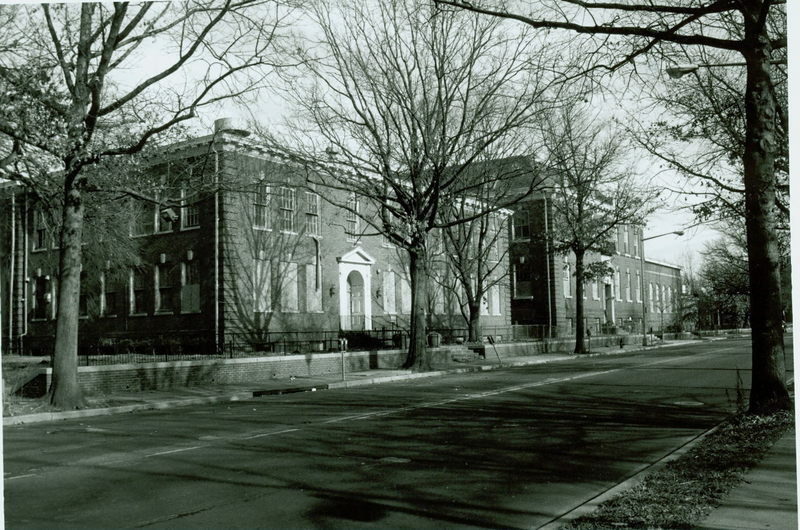 The Randall Junior High School was not the first junior high school to be constructed for black students in the District of Columbia; however, it is believed to be the earliest extant junior high school for the southwest section of Washington, D.C. In addition, the building serves as a reminder of the cultural and social role that schools played in the twentieth-century development of African-American communities. The building not only exemplifies early design standards for school buildings, but it also reflects the transition in the school system from elementary schools to junior high schools. Built 1906-1949, Marsh and Peter and Albert L. Harris, architects. “Elizabeth G. Randall Junior High School (Cardozo School),” DC Historic Sites, accessed April 24, 2019, https://historicsites.dcpreservation.org/items/show/497.